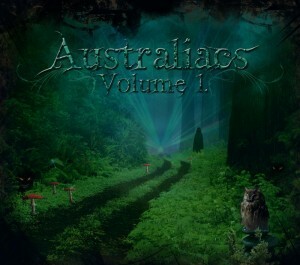 Australiacs Vol. 1 marks the debut of Australiacs Records, an all-Australian line-up of darkpsy, hi-tech, and psycore mind-blasters featuring the likes of Satori, Kireesh, and Dr.Quinni. Dive into a new wave of high energy underground dance music from down under as this fresh label brings you some of the most sinister and out there psychedelic music of 2015! Compiled and mastered by Psyloscope with artwork by Penumbra. MP3 Download | FLAC Download | WAV Download · Download count: 10,412. I’m not sure whether the mastering is poorly done or if the “head-in-a-barrel”y sound is just the aussie style. The mastering is terrible on this. Super muddy. Aussie stuff is quality , its the mastering. How can I contact the person who did the album art? Satori track is unbelievable too!! Does anyone know Hyperphysical/ where I can find more of their work? Love the 8th track so much but had no luck finding anything on the producer. Any help would be hugely appreciated!